Rudra Simhasanam malayalam movie directed by Shibu Gangadharan featuring Suresh Gopi and Nikki Galrani in lead will start rolling from January 2015 at Ottapalam. Scripted by Sunil Parameshwaran, the movie explores the complications and conflicts in family and other relationships in our life. Nedumudi Venu and Sudheer Karamana will also play important roles in the movie. Superstar Suresh Gopi is back in action with a handful of projects in his kitty. After playing a remarkable character in 'Dolphins', the actor is gearing up to don the lead role in filmmaker Shibu Gangadharan's upcoming venture. Titled 'Rudra Simhasanam', the movie is scripted by Sunil Parameshwaran who has moved her pen for Santhosh Sivan's Ananda Bhadram. Suresh Gopi plays a yogic personality named Rudrasimhan while Nikki Galrani will play the female lead named Haimavathi in the movie. The movie explores the complications and conflicts in family and other relationships in our life. Rudra Simhasanam is said to be an adaption of Sunil Parameshwaran's acclaimed novel Bhadrasanam. It also zooms into the pitfalls which awaits us if following the worldly pleasures. Set in the contemporary times, Ottappalam will be the main location of the movie. Expected to start rolling from January 2015, 'Rudra Simhasanam' would reach theatres as a visual delight. Nedumudi Venu and Sudheer Karamana with distinct looks will also play important roles in the movie. Venu character represents time and Sudheer Karamana plays a black magician -Veera Bhairavan. This would be the second project of Shibu who debuted with 'Praise The Lord', which featured Mammootty and Reenu Mathews in the lead. Suresh Gopi is currently filming for a social-thriller 'My God', directed by M Mohanan. The movie which revolves around a 15 year old boy has Vineeth Sreenivasan and Honey Rose in the cast. He has also committed anumber of projects including 'Malotty Sabu' and an action thriller helmed by Shaji Kailas. The actor is also getting ready to host the 'Ningalkkum Aakam Koodeshwaran: Season 3' aired in Aisanet. 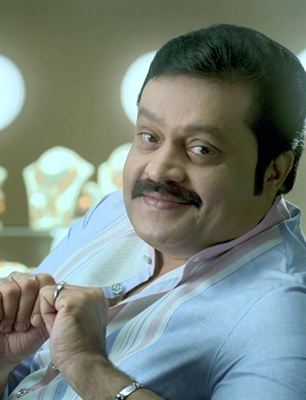 Both the previous seasons were huge hits which won the hearts of the viewers for its exceptional presentation of Suresh Gopi. He has also lend his voice for the upcoming movie 'Mazhithandu'. As Ananda Bhadram gave a visual treat for the moviegoers, much is expected from the makers of 'Rudra Simhasanam'.